When it comes to bags, every girl has at least one black piece in her collection. After all, they are just SO versatile and go well with all your outfits. But you gotta agree girls, too much of anything can get a little boring. So we suggest you try something at times. 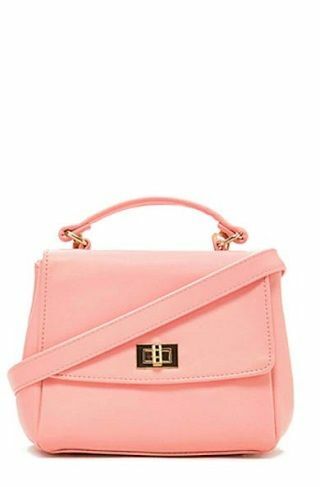 Presenting a list of 15 gorgeous bags, other than black, that will totally make you wanna buy them all! These everyday handbags will go with everything you wear, just as well as black. 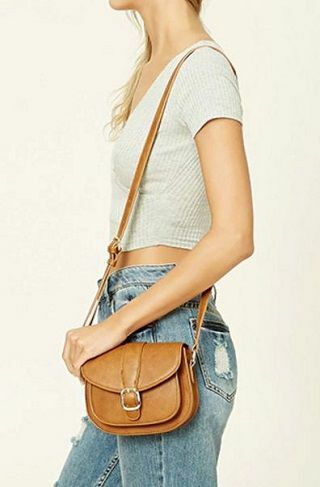 We have been crushing over this bag ever since we found it. It is really classy and will complement all your outfits. Hello sophisticated chic! Price: Rs 1,799. Buy it here. 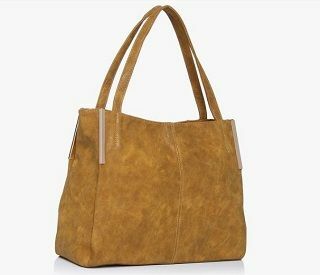 This mustard stunner can easily qualify as your next everyday bag! It is spacious, classy and totally worth buying! Price: Rs 2,099. Buy it here. 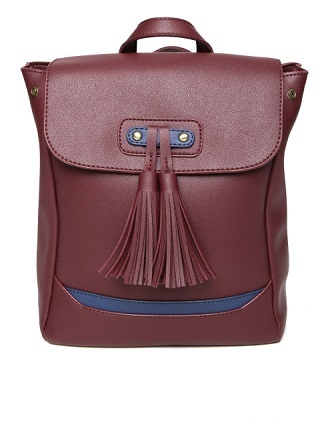 Different and cool, this burgundy bag is a total stunner! 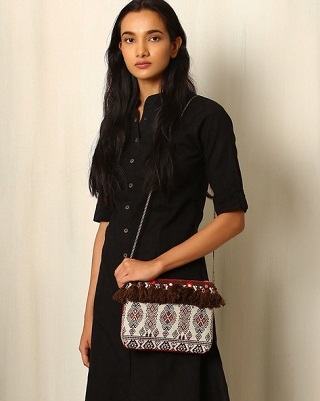 Featuring tassel details on the flap, it will let you carry your world in it, without compromising on your style! Price: Rs 799. Buy it here. 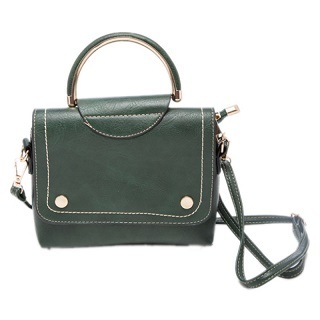 How awesome is this two-toned bag with cut out detailing? Not to miss the pom pom tassels - aren’t they so cute? 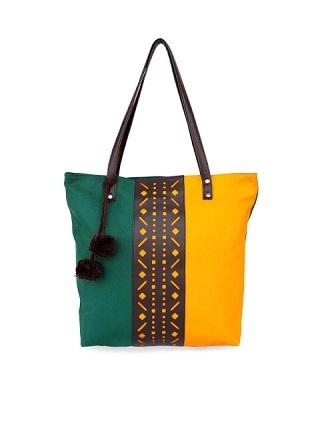 If you love to add a colourful surprise to your daily style, then get your hands on this beauty. Price: Rs 549. Buy it here. Tan is a quintessential colour in your accessory cupboard. 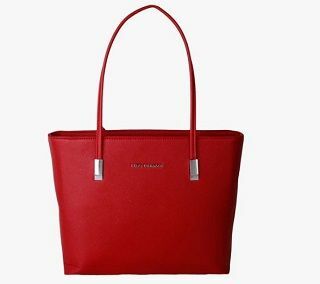 This basic beauty will be your go to bag, wherever you go! Price: Rs 1,499. Buy it here. Channel your inner boho babe with this super awesome sling! We love the colourful tassel details for an everyday style that is far from boring. Price: Rs 629. Buy it here. Bucket bags are SO cool for carrying all your essentials. This tasseled one is fashionable, functional and fabulous! Buy it right now! Price: Rs 1,999. Buy it here. 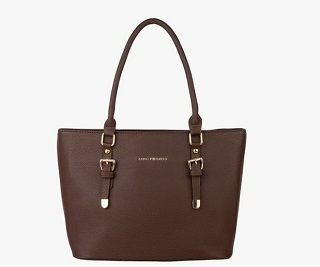 If you like to keep it simple and pretty, this bag should totally be on your list! There’s nothing we don’t like about it! It’s just perfect! Price: Rs 1,724. Buy it here. Miss this stunner at your own risk! It’s such an awesome colour, great design and an affordable price, what else do you even need? Price: Rs 1,050. Buy it here. If pink is your colour, you should totally be buying this cutie patootie! It will add colour to the most basic of your outfits! Price: Rs 1,499. Buy it here. 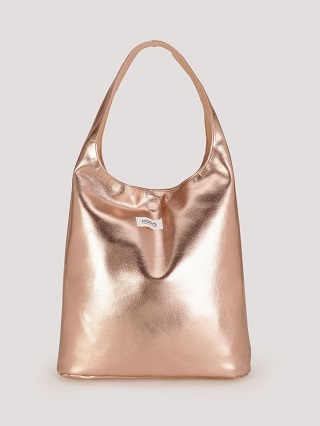 This metallic bag is just SO different. Not to miss it’s awesome feature - it’s reversible! Rose gold on one side and classic beige on the other. So you will get two bags at the price of one! Happy much? Price: Rs 1,695. Buy it here. We fell in love the moment we laid our eyes on this cutie! Just look at the pretty bow detail, such a stunner! Plus, red is what we would call a ‘bright neutral’, it’s the perfect bright colour that can be easily paired with basic outfits. 13. Totes for the win! 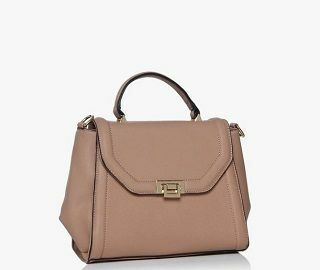 Stop looking ladies, you’ve found your perfect daily bag! It’s spacious, light and super classy. Trust us, you’re going to love it! Price: Rs 2,097. Buy it here. 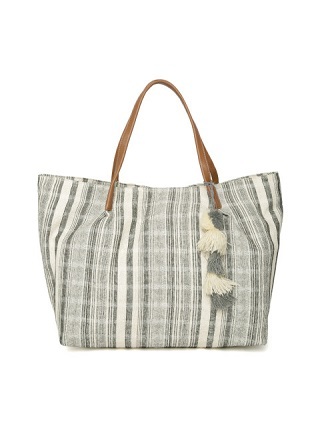 This bohemian bag with tassels and fringe has our hearts. And just look at the price - we are buying it right away, are you? Price: Rs 999. Buy it here.